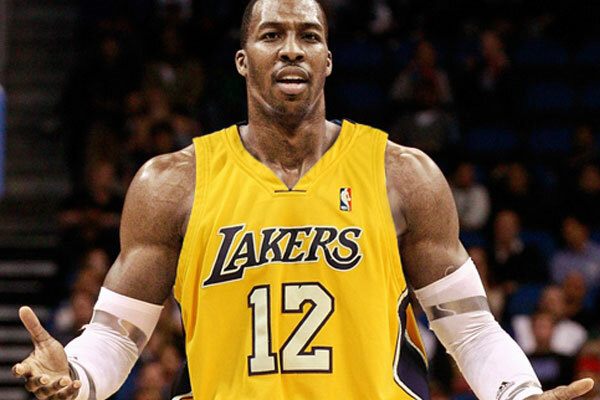 Dwight Howard finally got his wish. He is no longer a member of the Orlando Magic. It may look like the 2012 offseason is officially over. But unfortunately for all of us, this doesn't mean the rumors surrounding Dwight Howard is going to stop. Until he agrees to sign an extension with Los Angeles, he is still going to be the marquee free agent next year. I realize these are the dog days of the summer and everyone is currently glued to the TV watching the U.S. dominate the Olympic games in London (for those wondering, we are #1 in gold medals with 41 and #1 in overall medals with 94), but don't take this trade lightly. This Dwight Howard trade could arguably go down as the biggest trade in the NBA in the last 10+ years. Bigger than Carmelo going to New York, bigger than Kevin Garnett going to Boston, and bigger than Tracy McGrady going to Houston. Carmelo's trade was historic but swing players get traded all the time, whereas once-in-a-generation big men are rarely dealt because they only come around once in a generation. And although Dwight Howard's offensive game is not as refined as many would like, his impact on the game from the center position is second to none in the NBA today. Garnett's trade obviously was critical in terms of re-writing the legacies of Paul Pierce, Ray Allen, Doc Rivers, the Boston Celtics, and that of his own -- but as an individual player, KG was already somewhat passed his prime. During the summer that sent KG and RayRay to Boston, Garnett was already 31 years old and was entering his 13th season in the NBA. D12, on the other hand, is currently only 26 and is just hitting his athletic prime. T-Mac's trade was huge because he was joining forces with Yao Ming in Houston. They had the makings of becoming the 1-2 punch that would keep the Rockets contending for years. Unfortunately injuries got the better of both of them and this trade never lived up to its full potential. What Orlando ended up acquiring in the trade is just straight up ridiculous. How do you give up your starting center without getting a legitimate big man in return? ESPECIALLY considering that Bynum, Gasol, Brook Lopez, and others were all rumored to be involved in the deal for the past 18 months. On top of that, all the first round picks involved are protected with many conditions. I still don't know what they were thinking. Ultimately, Stan Van Gundy wins. For the Lakers, this trade catapults them to be heavy favorites to not only compete for a championship, but to win it all. The fact that they kept Pau Gasol, who even for all his flaws is still a top 3 guy at his position, is a hell of a steal for LA. Don't forget, they also have Antwan Jamison coming off the bench as the 6th man to provide the scoring punch in addition to the absurd starting line up of Steve Nash, Kobe Bryant, Metta World Peace, Pau Gasol, and Dwight Howard. Somewhat flying under the radar, this trade gives the 76ers an all-star center and a serviceable wing player. The front office knew that if they were going to return with the same roster from a year ago, there was no way they were going to compete with Miami and Chicago in the Eastern Conference. 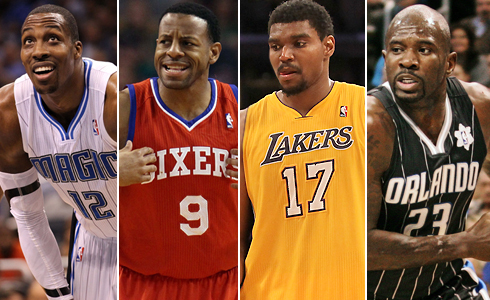 Now their roster boasts a more complete team with legitimate options in the interior and on the perimeter. If Coach Doug Collins can get them to play together and gel, I can foresee Philadelphia finishing with a top 4 seed in the East. The biggest question mark is Bynum's maturity or more specifically, lack there of. Denver is building the team that nobody wants to play. They have freakish athletes at every position, but with no real superstars or go-to players. Its much harder to coach and scheme against a team like this during the regular season. Of course, in a star-centric league like the NBA, they are never going to legitimately compete for a title but they are unquestionably a very tough out for any team that meets them in a 7-game series. I absolutely hate the Los Angeles Lakers. 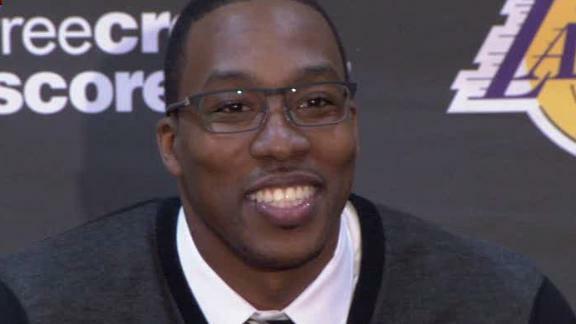 George Mikan, Wilt Chamberlain, Kareem Abdul Jabbar, Shaquille O'Neal, and now Dwight Howard. These are five of the greatest big men to ever live. Each were the transcendent center of their respective eras. Admittedly, putting Dwight Howard in that group may be a little premature but he's definitely on his way if he continues his current career arc. The worst part of the whole situation is the fact that the Lakers franchise only drafted one of them (Mikan). No other team has gotten this lucky. I'm not even going to get into how Kobe was also a trade, Pau was gifted to them by Memphis, and the NBA's documented rigging job during the Lakers and Kings series.